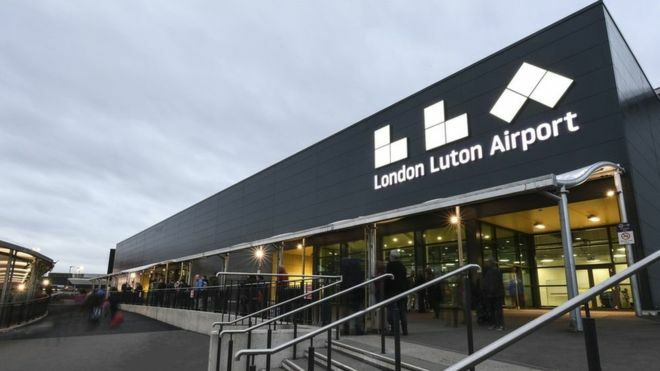 A man has been arrested at Luton Airport on suspicion of the preparation of terrorist acts. 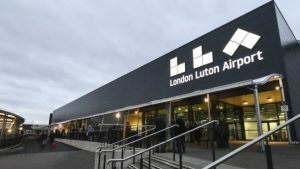 Officers from the Met Police’s Counter Terrorism Command arrested the 32-year-old at about 20:30 GMT on Thursday after he arrived on an inbound flight. He was taken to a police station in the Bedfordshire area, where he remains in custody. 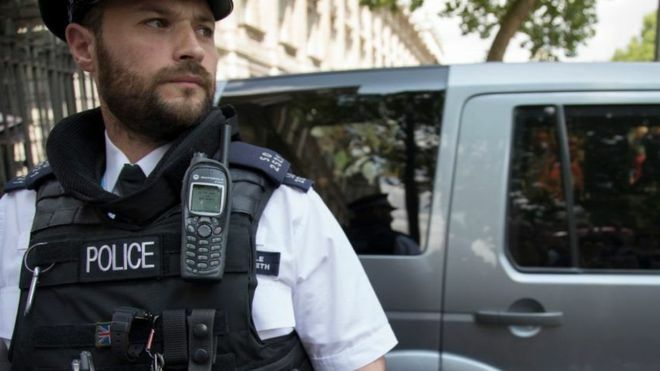 The Met Police said the arrest was Syria-related and not related to any offences at the airport. 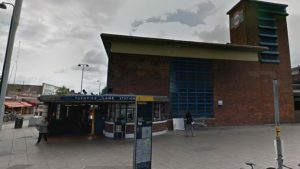 A bus driver has been hurt following police reports of gunshots fired outside a London Tube station. Armed officers and others from the Metropolitan Police were called to Turnpike Lane station in Wood Green, north London, at 00:24 GMT. A bus driver, aged in his 50s, was found with minor forehead injuries from shattering glass, the Met said. He was taken to a north London hospital. Police said evidence was found that a firearm had been used. No-one has been arrested and officers remain at the scene. Earlier road closures reported by Transport for London have since been lifted. The Piccadilly Line, which Turnpike Lane station is served by, was unaffected. BT has confirmed that equipment made by Huawei is being removed from the heart of a communication system being developed for the UK’s police forces and other emergency services. It follows a statement from BT earlier this month that it was swapping out the Chinese firm’s kit from the “core” of its 3G and 4G mobile networks. The Sunday Telegraph was first to report the latest development. It said the move would extend work on the late-running £2.3bn project. BT is covering the cost of the switch. It does not believe the changeover will lead to a further delay. The Emergency Services Network (ESN) was originally due to be completed by the end of 2019. At that point it was meant to replace an existing Motorola-owned radio system called Airwave, which is used by the police, fire and rescue, and ambulance services. The ESN is intended to give its users “secure” priority access to EE’s 4G network, which is being extended via additional radio frequencies in rural areas and new mast sites. It should be cheaper to run than Airwave while also providing superior voice and data capabilities. Four men detained when the military boarded a cargo ship in the Thames Estuary have appeared in court. The Special Boat Service descended on to the Grande Tema on Friday, its owner said, after concerns were raised for the crew’s safety. The 71,000-tonne vessel was carrying a cargo including chemicals from Lagos in Nigeria to Tilbury, Essex. The men, of no fixed address, were charged with affray and remanded by magistrates until 31 December. They are Samuel Jolumi, 26, Ishola Sunday, 27, Toheeb Popoola, 26, and Joberto McGee, 20. Appearing at Chelmsford Magistrates’ Court, the defendants spoke only to confirm their particulars, with McGee giving his nationality as Liberian and the others saying they were Nigerian. The military had been called in to secure the ship late on Friday night, after a 14-hour operation. After becoming aware alleged intruders were roaming the ship, the crew holed themselves up in the bridge and kept control of the vessel. The ship docked at Tilbury shortly before 04.30 GMT on Saturday. Four men on board were held under the Immigration Act before being handed over to the UK Border Force. 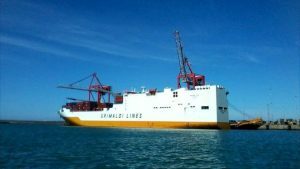 The ship’s operator, Grimaldi Lines, said there were no reports of injuries. US Defence Secretary James Mattis is resigning, the latest in a string of senior US officials to do so. His announcement came a day after President Trump said he was withdrawing troops from Syria – a decision General Mattis is understood to oppose. In his resignation letter, Gen Mattis strongly hinted at policy differences with Mr Trump. He said the president had the right to appoint someone “whose views are better aligned with yours”. Gen Mattis, 68, will leave the job in February. President Trump has not immediately named a successor, but said one would be appointed shortly. Members of Congress from both sides of the political divide have reacted with shock to the resignation.